Price: 99¢ (as of 05/31/2015 at 5:00 PM ET). All Charlotte Ross wanted was a pleasant vacation. 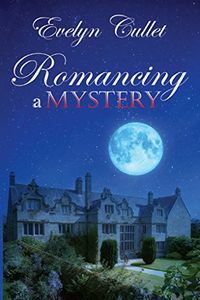 She wasn't counting on solving a centuries-old mystery or falling for a handsome aristocrat. A young woman in her prime, Charlotte has become bored living in the small Illinois town where she grew up — and is tired of her controlling mother trying to marry her off to the oldest and wealthiest men in town. So when her mystery-loving friend Jane Marshall suggests a driving trip across England, Charlotte eagerly packs her bags. But Charlotte gets more than she bargained for. Just two days in, their car breaks down in a thunderstorm, and the women take refuge inside Blake Hall, an ancient aristocrat's lair with a long and rumored past. As guests of the British aristocracy, these out-of-place Americans stumble their way through a fox hunt, encounter imagined ghosts and discover a mysterious clue to a centuries-old murder that has remained unsolved — until now at least.